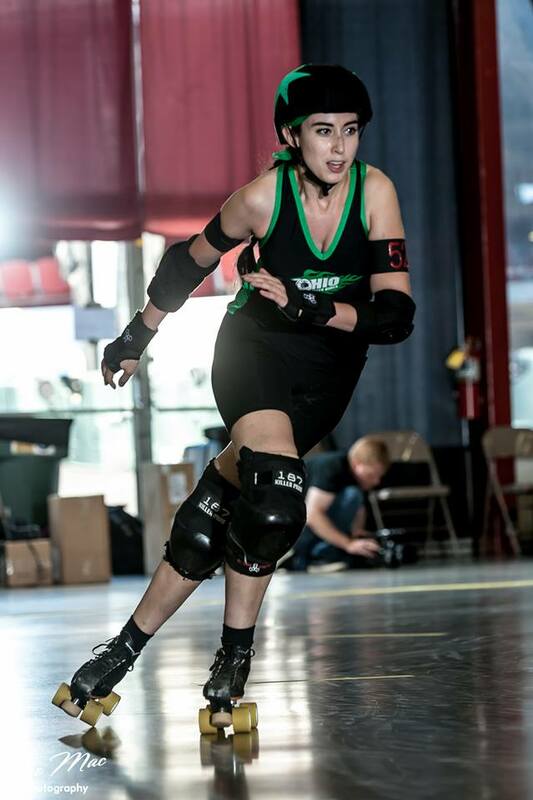 About a year after breaking my leg and being told I should give up running–the only physical activity I’d ever stuck with, and even then only sporadically–a friend asked me to come along for moral support while she checked out a practice with our local roller derby team. I hadn’t skated in close to a decade, but after watching her jump right into that practice, I really wanted to try it out. I went to my first practice a week later and immediately fell in love despite spending more time falling down than upright on my skates the first few months. That was back in March of 2012, and I’ve never looked back. It’s a joke and a play on a few of my favorite ways that people have misspelled/mispronounced my real name over the years. It’s also become something my friends and teammates use to remind me that I’m tougher than I think, both in derby and normal life. Blocking requires me to be strong & adaptive & strategic. Jamming requires me to be agile & quick-thinking & more than a little fearless. I generally block a lot more than I jam, but I love them both. Being a part of OHRD is the real honor. Eat, sleep, hydrate well the week prior. On game day, I like to be externally focused & stay busy, so I get to the venue early to help with setup. Get in some good laughs with my teammates. Do a little yoga in the locker room. Eat a lot of carrots. What are some goals you have for next season? 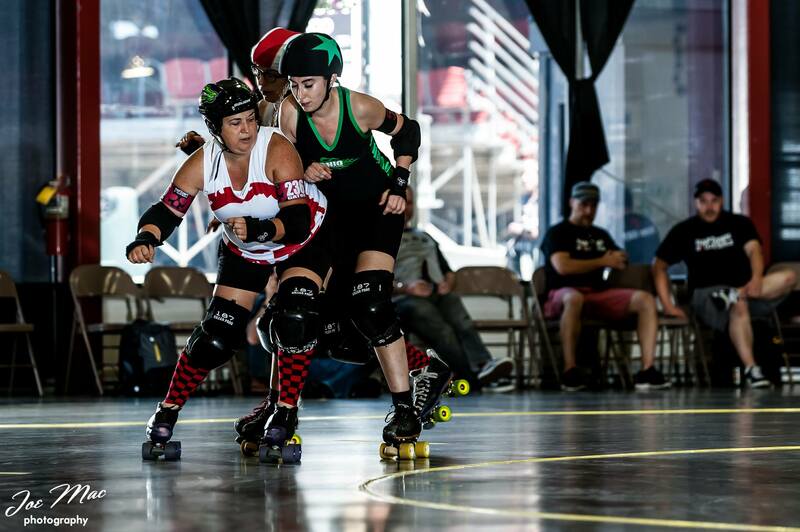 On the track: Develop more as a jammer. Be more explosive and agile. Off the track: Lift heavy things. Lift heavier things. Cooking, gaming, reading, cross training, assorted crafty endeavors, kayaking when it’s warm, hanging out with my one-eyed cat. Do you have any jobs do you have with OHRD, if so what are they? I write recaps of our games for the website, serve on our Equity & Inclusion committee, and do a bunch of behind-the-scenes work as accounts admin. It’s tough to choose. One that’s really special was playing at Burning River during my rookie year and getting to jam successfully in a game for the first time. Skating down High St during the Pride parade is also an unforgettable experience. My skates, waxed hockey laces, and very specific socks. 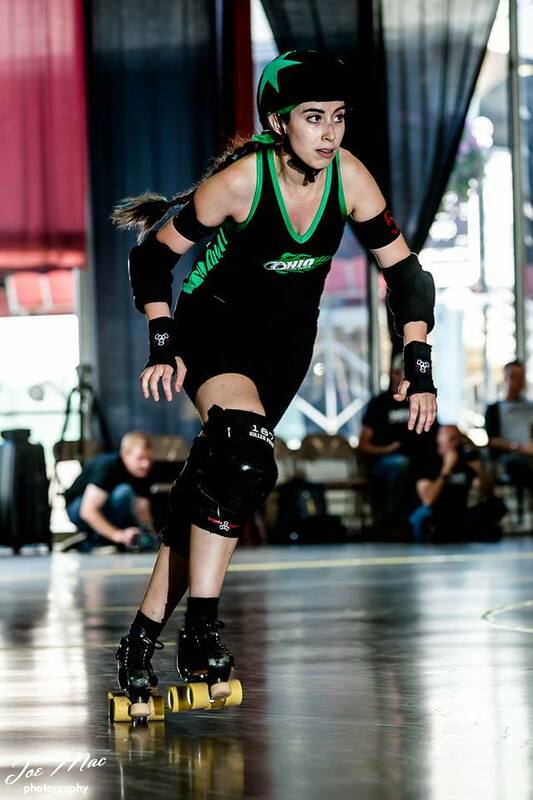 Before derby, I firmly believed that I would never be an athlete, that I was simply not coordinated or strong or naturally skilled enough to be one. 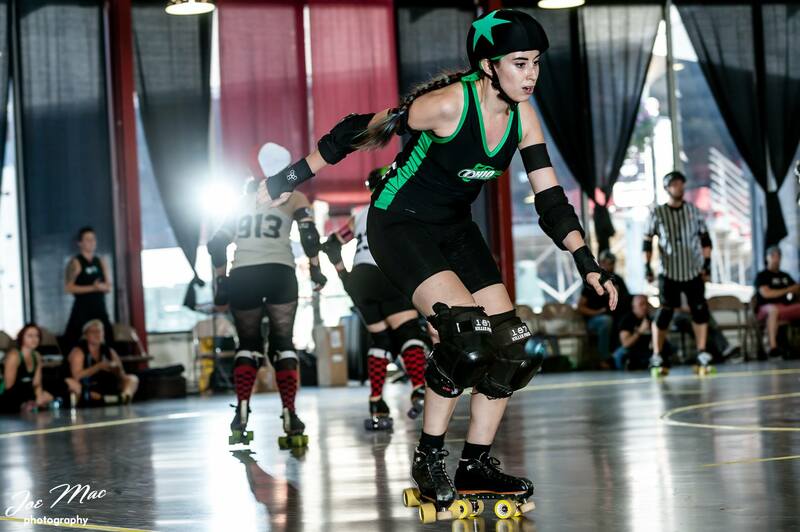 Derby didn’t make me an athlete–it just provided the right environment to develop talents I didn’t know I had. So my advice: just try it. The worst that will happen is derby won’t be the right fit for you. But it might be, and it might just change your life in the most unexpected & amazing ways.